If you've ever wanted to take part in a space battle here's your chance with a fast-paced and challenging game that you won't be able to put down. 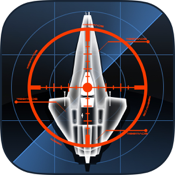 The Galaxy Feud app has been created for your iPod touch, iPad, and iPhone and gives players a chance to fly five different spaceships that are all loaded with some rather impressive weapons. Not only are you in for some great gameplay but this one also offers some rather cool 3D animations. This is your chance to put your battle skills to the test in an epic space adventure. The Galaxy Feud app offers a staggering 90 skills for you to use that include things such as nuclear attacks and various tactical defensive moves. There are five different spaceships to fly and each has its own selection of weapons at your disposal. This is a 3D offering that offers impressive graphics that help to make the game feel more realistic. Even the soundtrack will add intensity to your battle. The game controls are easy to pick up on so before long you'll have the hang of this game. The game is free to play but there is an in-app purchases that unlocks all the features for $2.99. The app currently has 4.5 out of five stars from users who have described it as great, fun, interactive, and unique. In its recent update there were a number of bug fixes made so that the experience is now smoother than ever. Part of what makes the Galaxy Feud app so fun is the challenge of the gameplay itself. This app offers two modes of play which are turn-based multi-player mode where you can take part in a number of games all at once. Each time your turn comes up you will be notified. You will have five different ships in your fleet and each turn you get allows you to make one action. The goal is to eventually take over the whole galaxy and of course work your way to the top of the Leaderboards in the process. The other option is the classic gameplay, which seems to be an especially fun option according to players. This one is great to play on a casual basis and it's also good for improving your game skills and getting used to the game itself. The Galaxy Feud app for your iPod touch, iPad, and iPhone manages to capture the eye of players thanks to a variety of fun features and the unique feel to the game. It seems as though players can’t get enough of this one.